The Margazhi season in Chennai brings many visitors. Some friends, some acquaintances, artists, writers, and a host of enthusiastic concert goers. The visit of one friend is special because he is not only a great artist and choreographer but also a witty observer of our arts scene. Guiding Mark Morris through concerts and dance performances is a pleasure. But what is more engaging is our discussions over dinner on music and dance. 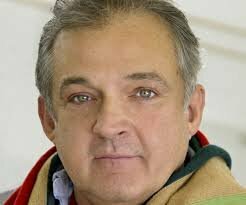 For those who do not know of him, Mark Morris is today the biggest name in Modern Dance. He has a wonderful group, and a fabulous school in New York. He is a genius. He has created something of a revolution in using classical music for his modern dance choreography. The amazing effect of Bach or Mozart on modern dance movements must be seen to be believed. He also uses vocal music, classical, for some of his work. The vital aspect of this rare amalgam is his thorough knowledge of music. His passion for music is so strong that he "knows" the music thoroughly before he choreographs a single move. And, he uses live music for his shows! I pointed out to him how the dance compositions taught by Nattuvanars who knew music worked out very differently on dancers as compared to the general music and dance mingling on today's stage. He could see the difference. And so we discussed music and dance in Chennai....he noticed that generally dancers are not seen in music performances..... He knows that I am a regular in kutcheris and that I have had formal training to the extent of singing a couple of Tyagaraja Pancharatnas efficiently. But, kutcheri music is different from dance music I explained and showed some examples. He was deeply touched by this subtle yet significant difference. Apparently dancers in New York also don't make the effort to listen to music. There of course the tickets for high end events can be expensive. But as in Chennai, and other places in India, New York also offers innumerable free concerts in various venues. Dancers, we both concluded, tend to live in a cocoon. There in New York they have very arduous and long rehearsals which take all their time and energy. I told him that in India too dancers are busy practicing and teaching. He was intrigued when I told him that crowds for dance are difficult to muster. Especially during the season because those who go to music do not go to dance, barring a few. This is the same world over he explained, largely because music continues to be with the listener even outside the concert hall in the form of audio devices, whereas dance is centered in the proscenium stage alone. I told him we have classical dance in local TV channels which are seen by many. But the national channel waits for all to go to bed before they show some dance programs. He was also amused when I told him that dancers have to do a lot of coaxing and cajoling to invite people and sometimes they are so distracted by this that their dance is affected. For the tiny tots and upcoming dancers, parents and teachers form the hospitality brigade. But for the others it is a tense situation. Chennai dancers are very competitive, and of late their PR skills are challenged by imported talents who spend more and are commendably slick spin doctors. Dancers on the stage are too vast in numbers. Where do they go from there was the question we discussed. I learnt that the USA has innumerable universities offering Dance degrees. With a performance career on their CV (dancers in America retire from performing after a few years on the stage, because their bodies feel the strain) dancers get admission and sometimes even aid to do an academic course. “And then?” was my question. Well, they get jobs in colleges and schools. So at least their middle years are somewhat stable with a pay check coming to them regularly. I asked Mark about jobless dancers feeling frustrated. He pointed out that in the USA as in India there were too many dancers with too few outlets if they do not join a company. That to me was a key word... a company. They have professional companies where dancers audition and get a job. They treat it as a job! If they do well the director gives them important roles. As far as Mark's own company is concerned, I have seen in the last decade many dancers stay and become prominent in his group and then leave for a teaching job or retire to do other things. Some stay on to run the company or the school. There are no prima donnas in his company. All are given roles to play... his choreography is like that. He was amused to learn that prima donnas are big in India. Therefore companies are difficult to form. I also told him that companies need commercial backing which we do not have. Some are trying out the concept by grouping together, but it is still not a professionally run outfit. Mark noticed the season's blurbs and was vastly amused by the often used term "global." I tried to explain that we are still obsessed with "foreign" and get kudos for any and all ventures abroad. I pointed out that the Indian diaspora particularly in the USA, after being mere audiences are also producing dancers and musicians who want to have a go at the Chennai season. He had seen posters in his Manhattan local Saravana for New Jersey-born performers. His most amusing remark was: “Every Indian woman I meet in the USA tells me she is a dancer.” He said that Americans are just beginning to appreciate Indian dance. There is still a long way to go but the media is noticing so at least it is a step. I wondered aloud whether it was because India is regarded as an emerging economic power. He was impressed with press coverage with all the quaint technical details in Chennai newspapers (read The Hindu). He said that the American papers have almost brought coverage to nil. He thought the language too was quaint. I pointed out that some of the pieces fell between knowing the art and knowing English. He agreed that it was INGLISH and had a particular ring to it! And when I said the young aspirants are not disturbed by all this and will be pasting it in their scrap book and mailing it "globally" he was.....amused, of course! I don’t offer apologies to Mark for bad stages, poor lighting, dismal sound etc. in Chennai. He actually likes the tackiness of it all, including horrendous stage decor for concerts. Where will he ever see such ambience in America! Sitting in Mylapore, we felt as if we were floating in a cardboard “praharam” of Rameswaram. I saw and heard everything through his experience and actually enjoyed it even though I still disapprove of very loud speakers, clownish vidwans, unaesthetic stage decor, dancers with unnecessary “attitude” on stage, bad body postures and poor choreography. Plenty of it in the season!